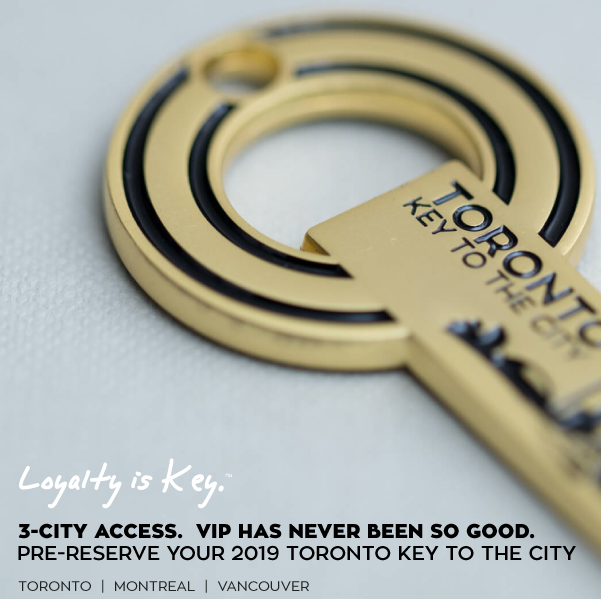 Show your Key To The City to your server and receive 6 Chef’s choice fresh oysters + 3 homemade sauces, horseradish and lemon with each and every dine-in visit all year. THE FINE PRINT: Pure Spirits Oyster House & Grill thanks you for your loyalty in advance. Limit 1 per key-holder, with every visit all year long, with lunch or dinner purchase. Perk above is valid during all days and hours of operation. Perk is not valid during Summerlicious, Winterlicious, Valentine’s Day and New Year’s Eve. Perk may not be used in conjunction with any other offer. Perk is subject to change.